This awesome Robo Fish with Castle and Coral set contains the awesome electronic fish itself, along with some decorative features for its tank. 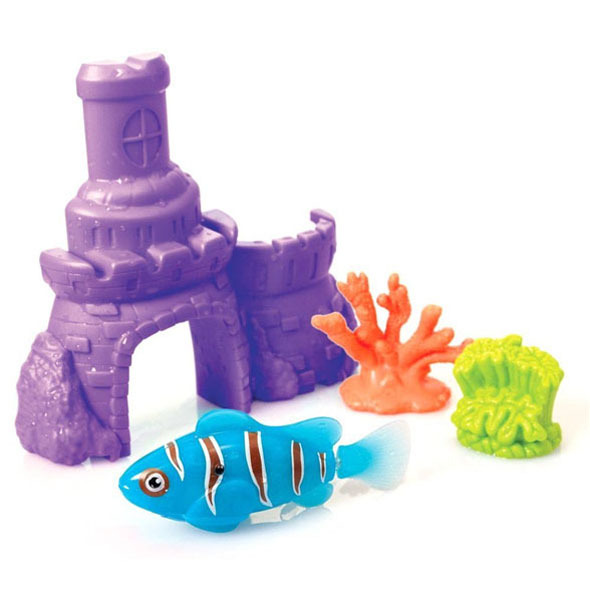 If you are looking for gift ideas, then the Robo Fish With Castle And Coral is a must have! Place your life like fish and castle into a fish bowl and watch as the Robo Fish activates and starts moving! 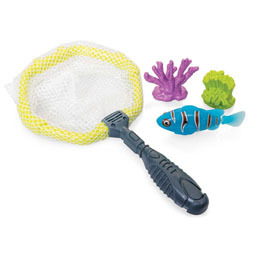 This is a great alternative to a pet as you don't need to worry about feeding the fish or cleaning! Start up your very own fish tank, with these life like Robo Fish! 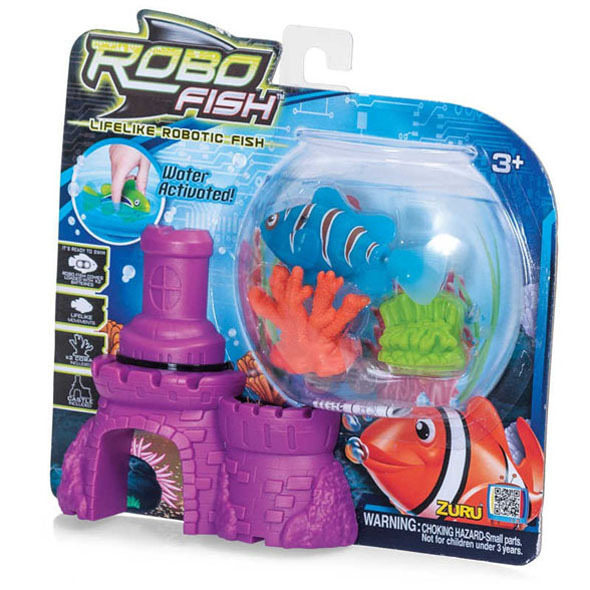 Robo Fish With Castle And Coral includes one Robo Fish, one Castle, Coral and x2 Batteries for the Robofish!